Site Plan Control is a specialized authority granted under Section 41 (2) of the Planning Act R.S.O. 1990, c.P.13 as amended that authorizes municipalities to review and approve the technical and design details of individual development proposals in a comprehensive and co-ordinated manner. 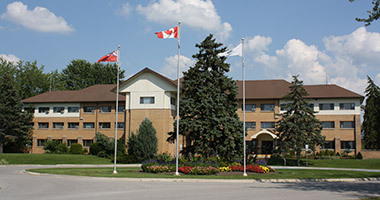 On December 29th, 1986, Council of the Corporation of the Town of Georgina passed By-law No. 86-244 (PL-3), as amended by By-law 92-120 (PL-3) designating all lands within the territorial limits of the Town of Georgina as a site plan control area. Prior to submitting a site plan application, applicants are required to attend a site plan pre-consultation meeting. To book a pre-consultation meeting, contact the Planning Division. Pre-consultation is required to confirm application requirements and receive initial comments on a concept plan. Development proposals may also require the approval of other agencies before a Building Permit can be issued. The applicant is encouraged to consult with these agencies prior to submitting a site plan application to co-ordinate the various approvals required. To apply for Site Plan Approval, submission of a completed application form is required in accordance with the Site Plan Approval Application And Guidelines, including all required drawings, reports and payment of all fees.